Comments: Comments Off on I present proof that the world will not end tomorrow. I present proof that the world will not end tomorrow. Those of us that have survived the Browns debacle since 1999 will not find relief by the world ending tomorrow. No, that is not going to happen. We are going to suffer more and more until our best hope for the future, new owner Jimmy Haslam finds the right coach to take us out of the desert and into the promise land. The hope is that Haslam will not screw up like the two previous owners have and bring in someone like Shurmur that is totally unprepared for the job of HC. Having followed the team since 1955 I can tell you exactly when the world will end. A Super Bowl is in our future. The Browns will find a way to get the firepower to have an offense to match the D and will win the AFC Championship someday. The world will then end one the day before the Browns first Super Bowl appearance. Comments: Comments Off on Gruden and Allen forced to walk the plank. Gruden and Allen forced to walk the plank. Yesterday, the Glazers who own the Buccaneers fired both GM Bruce Allen and head coach Jon “Chuckie” Gruden. Reports from Tampa indicate that both were at work yesterday and were “blindsided” by the move. Gruden becomes the second head coach with a Super Bowl win on his resume to be let go this year. Denver fired head coach Mike Shannon earlier this month. While Gruden was shocked, perhaps he shouldn’t have been. He won his Super Bowl with the team that built and trained by his predecessor Tony Dungy and the former GM Rich McKay. 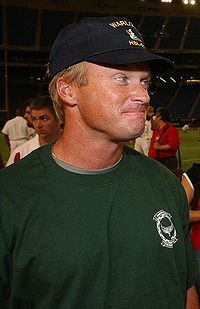 Gruden was obtained by Tampa in a trade for 4 high draft choices (2 1st round and 2 2nd round) and 8 million in cash with the Raiders before the 2002 season. In 2002 Tampa went 12-4 and won the Super Bowl beating the Raiders. That got him some time. 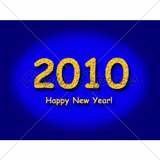 In 2008, the team was playing well and got to December with a record of 9-3. Then Tampa lost to consecutive games to Carolina, Atlanta, San Diego. After the team lost a humiliating game to the Raiders in the final game of 2008 and missed the playoffs with a 9-7 record, Gruden’s time was up. The December swoon was not unique. Gruden teams had won only 2 games in the last 3 seasons in the month of December. Overall Gruden went 60 and 57 in his years at Tampa including playoff games. However, in the last 6 years of his stay the team made the playoffs only twice losing in the wild card game each time. So what happened? A large part of the problem is that Gruden changed QBs faster than most men change TV channels. He got Texas QB Chris Sims in the 03 draft but didn’t like him. Simms played in a total of 5 games starting 2 in his first two years. He didn’t develop until 2005 then suffered a ruptured spleen in 2006. Gruden brought in a covey of veteran QBs including Jake Plummer who retired rather than report to the QB grinder that Tampa had become. The QB merry-go-round in 08 included Browns reject Jeff Garcia, Bronco and Bear reject Bryan Griese, and Luke McCown who has been rejected by just about every team in the league as well as Josh Johnson a 5th round draft choice out of San Diego. The starter Garcia who had a decent 2008 was allowed to become a free agent after the 08 season. After the firing of Chuckie was announced, Garcia said he would not be back in Tampa if he had to play for Gruden. Allen joined the team in 2004. He was hired to replace GM Rich McKay who resigned due to differences with Gruden. The team lost leadership when he cut both John Lynch and Warren Sapp within days of taking the job. Allen had a lot of draft choices that never paned out. To be fair, he did draft Cadillac Williams who was outstanding until a career threatening injury ended his season in 4th game of the 2007 season. Allen, who is the son of Hall of Fame coach George Allen, was also criticized for allowing salary cap money to go unused. Because of a lack of success of draft choices, Tampa relied heavily on free agents. That too was given as a reason the Glazers were dissatisfied with him. Both men received contract extensions in January 08 that was supposed to carry them through the 2011 season. Problems developed between Allen and Gruden over—guess what—QBs. Gruden wanted Allen to take Trent Edwards in 2007 draft and Brady Quinn 2008 but Allen did not. Gruden reportedly wanted Allen to trade for Bret Favre in 08 but again Allen was able to prevent it and won the battle over draft choice and free agent QBs. However, both combatants lost the war. Reportedly the Glazers had a serious disagreement with both Gruden and Allen over the future direction of the team. In that kind of spitting contest, ownership always wins. Raheem Morris is rumored to replace Gruden. Allen may also be replaced internally by Mark Dominic. Morris was the DBs coach last year and had just promoted to defensive coordinator in December replacing long time DC Monte Kipen who will join his son Lane Kipen in Tennessee. In 04 and 05 Morris was an assistant DB coach. In 06 he had a successful season as DC for the Kansas State team. He came back to Tampa as DBs coach and in 07 he helped the team become the top pass defense team in the league. Now it looks like Morris will be the next head coach. Mark Dominic has been with the Bucs since 1995 and has been the Director of Pro Personnel for the last 9 years. While he has spent his career in pro scouting and talent evaluation, he has very little experience in college scouting. That is very often a problem for first time GMs. In college scouting, you have to find the jewels among the late round picks. Evaluating small school players is also a problem for those that have no experience doing it. In my opinion, Tampa made the right choice in firing Allen but not in removing Gruden. Gruden has done quite a bit without a real QB. The NFL is a QB driven league. That is particularly true in the last few years. Without a franchise quality QB, the offense sputtered. While he came with a reputation of an offensive guru and having the ability to develop QBs, he never had a chance in Tampa. I don’t think they will have more success with Morris or anyone else they could get. They waited until several of the high profile coaching candidates had already found jobs. There were rumors that key members of the team felt many players did not like Gruden. That may be true. The position of HC is not a popularity contest. I doubt he had lost the locker room. Chuckie suffered from a lack of young talent that resulted in a long injury list almost every year. Free agents and older players tend to go down more often than young ones do. Allen missed on several key early picks and had never really shown the ability to find the late round picks that develop into key starters. That is the difference between the good GM and the great one. Given the teams lack of success in the past few seasons, Allen had to go. Maybe Boston College should build a Berlin type wall around his coach! 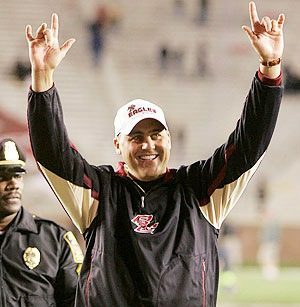 Maybe Boston College should build a Berlin type wall around its coach! Boston College athletic director Gene DeFillippo announced the firing of football head coach Jeff Jagodzinski for interviewing with the New York Jets for the head coaching position. But as is the case so often, there is a lot more to the story. Jagodzinski is an NFL guy. He coached in the NFL as TE and O-line coach from 1999 through 2006. He has a reputation for developing players to get the best out of them. Under his guidance, Atlanta led the league in rushing. It was his NFL credentials that first attracted DeFillippo and BC to Jagodzinski. They knew what they were getting but he did not. He had never been required to kiss up to pinhead College personnel, nor even more importantly, to program boosters. He was reportedly also not thrilled about the recruiting process. Given all the above, Jagodzinski still had great success for BC. His first year brought BC the first 11 win season since 1940. He helped QB Matt Ryan become the 3 choice overall in the NFL draft and then 2008 offensive rookie of the year. Jagodzinski’s second year was even more successful. Without a senior QB, he led BC to their first ever ACC championship. Now what is the problem? It was a series of errors on both sides that painted each party into an opposite corner of a very large room. Jagodzinski wanted to go back to the NFL. When a high profile head coaching job opened up, he scheduled an interview. What he failed to do was mention that to his boss, athletic director DeFillippo. Should he have mentioned that even if he had no intention of asking permission—absolutely. DeFillippo then went public when he found out about the interview. In a press conference he mentioned that the two had a “gentleman’s agreement” that Jagodzinski would not seek other employment during his contract period. Then DeFillippo did the unthinkable. He threatened his coach in public. Jagodzinski feeling like he was being treated like a 4 year old, did it anyway. When he did, DeFillippo had no choice but to carry out his stupid threat and fire his coach. It’s never a good idea to shoot yourself in the foot. If you doubt that, just ask Plaxico Burris. But it’s stupid to shoot your program in the foot the way that DeFillippo did. It was the act of a pompous pinhead with more pride than sense. BC will do the traditional nationwide search for a new coach. Jagodzinski will get an NFL coaching job probably as an offensive assistant rather than head coach for now. He will also do the traditional by filing suit against the University. Several observations must be made. Who are you going to get that has the quality of NFL credentials that will attract potential NFL quality recruits? Answer—nobody. If BC had trouble getting that quality of a coach before, it will have no luck trying to bring one in now. Second, DeFillippo said he wants to hire only those people that want to be the head coach of BC long term. That’s also stupid. What DeFillippo meant was he wanted a coach that would bring 11 wins each and every year and win the ACC Championship every other year to stay long term. The first time a coach leads BC to a 5-7 season, he will be canned in a Boston second (about 1/32nd of a New York second). Every college football fan knows that. What DeFillippo needs to do is build a Berlin type wall around his next hire. Then we will all wait to see how quickly the BC fans can tear it down if the long term guy has a losing season.